As featured in the Apple 'iPad is Musical' TV Ad, recommended by The New York Times, The Independent, The Daily Telegraph, Rolling Stone Magazine, and played live by legendary band Squeeze on the Jimmy Fallon show (NBC). 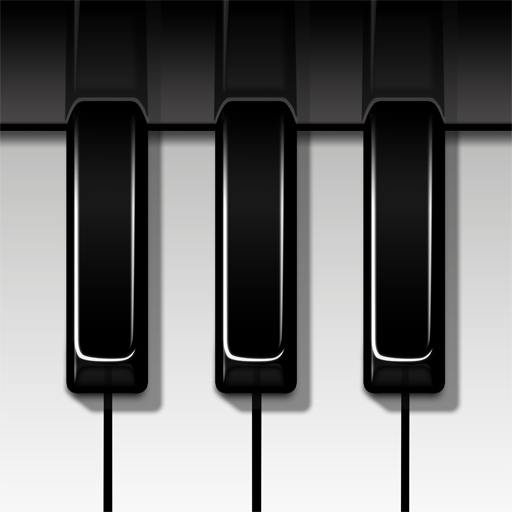 Pianist, the ORIGINAL iPhone piano, turns Professional for the iPad with photo-realistic graphics and an unbelievable sound. Pianist Pro was the number one music app for the iPad at release and has remained in the charts ever since. - Full recording and overdub facility. - Live MIDI control of external synths via CoreMidi USB, MIDI Mobilizer interface, Network MIDI, OSC or DSMI. - Standard MIDI File import and export. - Audio (WAV) file export. - 16 professionally recorded instruments (pianos, organs, guitars, synths). - Built-in effects, arpeggiator and drum machine. - Soft and Sustain pedals, and velocity based on key strike position. - A full 88 key Single or dual keyboard layout with configurable key size. 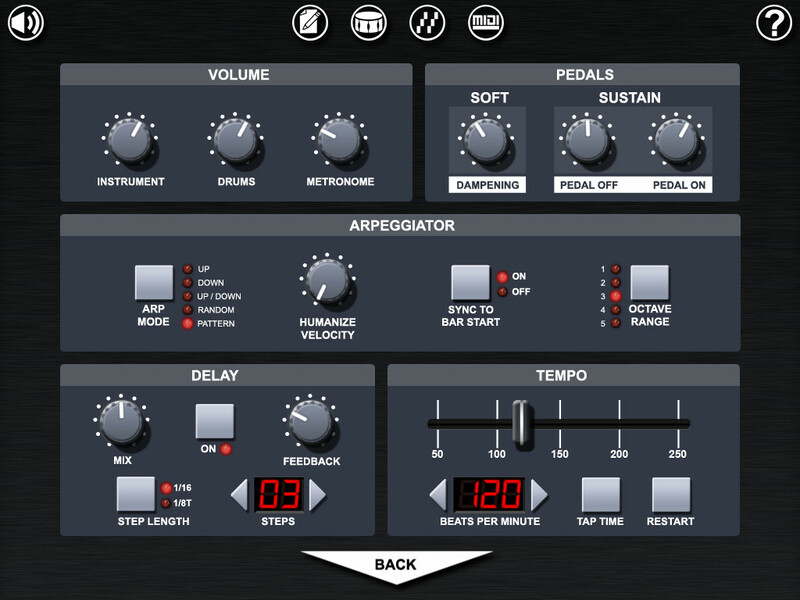 - Onscreen pitch bend, modulation and swell pedal controls. - Vibrato and Low-Pass Filter. 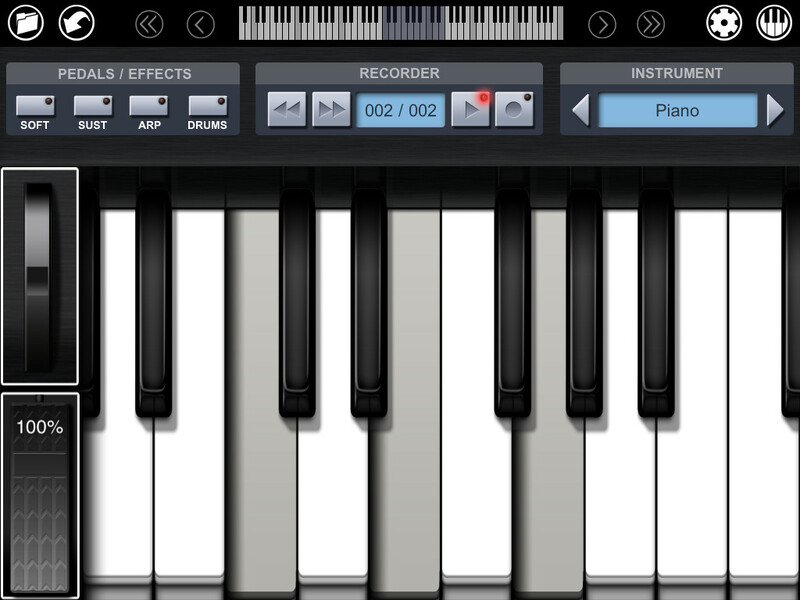 Pianist Pro is a virtual piano designed specifically for the iPad, with the same great interface and style that has made Pianist the best known piano on the iPhone, and a whole host of new features too. It features full MIDI import and export capability, allowing you to record song ideas while on the road and export them via MIDI to your Digital Audio Workstation back at the studio. You can also use Pianist Pro as a great master MIDI keyboard, either with USB, the Line 6 MIDI Mobilizer interface, or via Wi-Fi. Drive your soft or hard synths wirelessly from the sofa, or from another room. 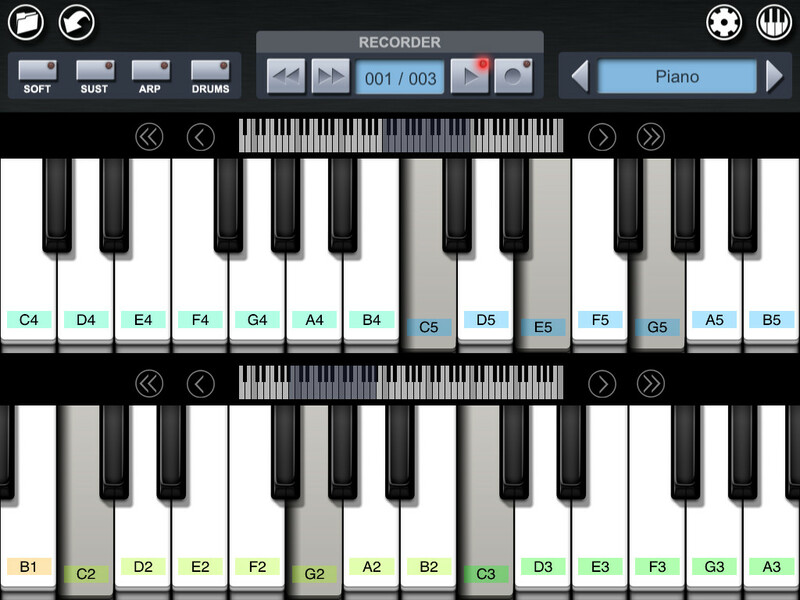 Pianist Pro can even be used as a MIDI sound source, driven by an external hardware keyboard. 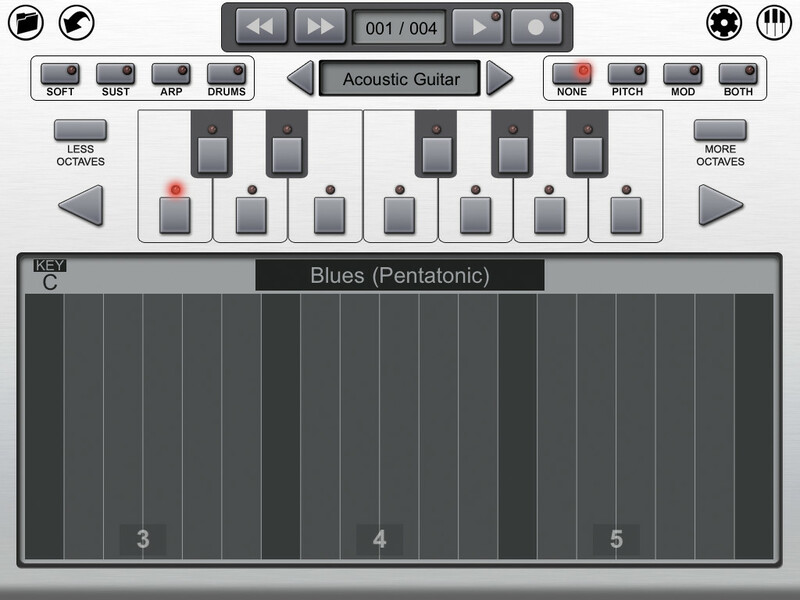 A built-in arpeggiator allows the user to create perfectly timed runs just by holding down a few keys, and complex patterns of notes and chords can be programmed into the arpeggiator and played back live. Pianist Pro makes it easy to play shuffle-beat blues piano, complete with walking bassline and overlayed jazz chords - all by simply holding down a single chord. Changing the chord changes the melody but maintains the tight rhythm provided by the arpeggiator. 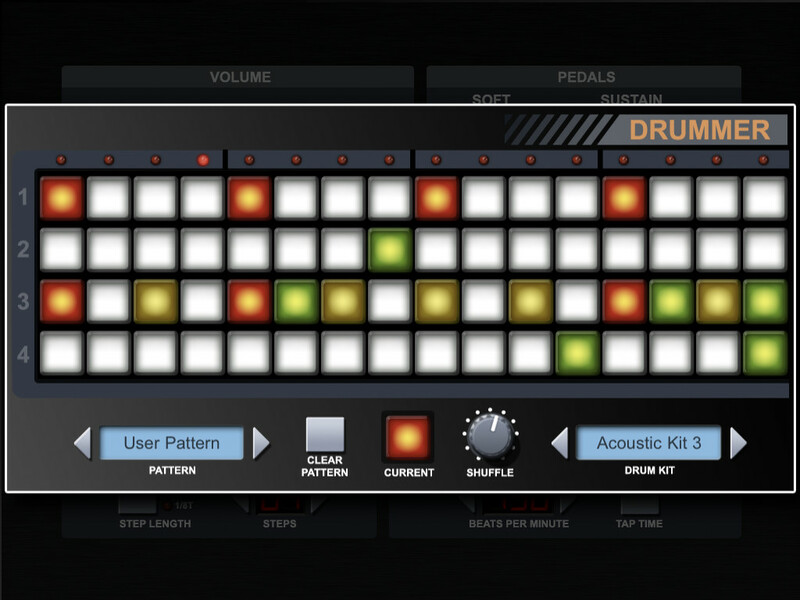 A drum machine offers an elegantly simple interface for adding rhythm, with a choice of drum kits to suit a range of musical styles. While a delay effect can be used to bring energy and interest to a synth bassline, or guitar or piano riff. The 'Scale Piano' interface allows the user to select a musical scale from a large choice of presets (eg. Natural Minor or Pentatonic Blues) or define their own scales from scratch. Notes and runs on that scale can then be played back in any key, simply by sliding a finger up and down a virtual touch-pad on-screen. Musicians at all levels have raved about Pianist Pro. Visit our website (moocowmusic.com) for demonstration videos, a full description of functionality including the user manual, and more screenshots. If you require assistance, please click on the support link. We aim to answer all emails within 24 hours.